Life as a turtle seems so simple. I took this picture a few weeks ago at a local lake while fishing. These guys were just enjoying the sun like all the people there. I didn’t have my Nikon with me so I took this with my Cannon PowerShot. Still a good picture! It took a while to get this picture because anytime I would get close enough to get it they would dive in the water. luckily they really like this log so they kept coming back! 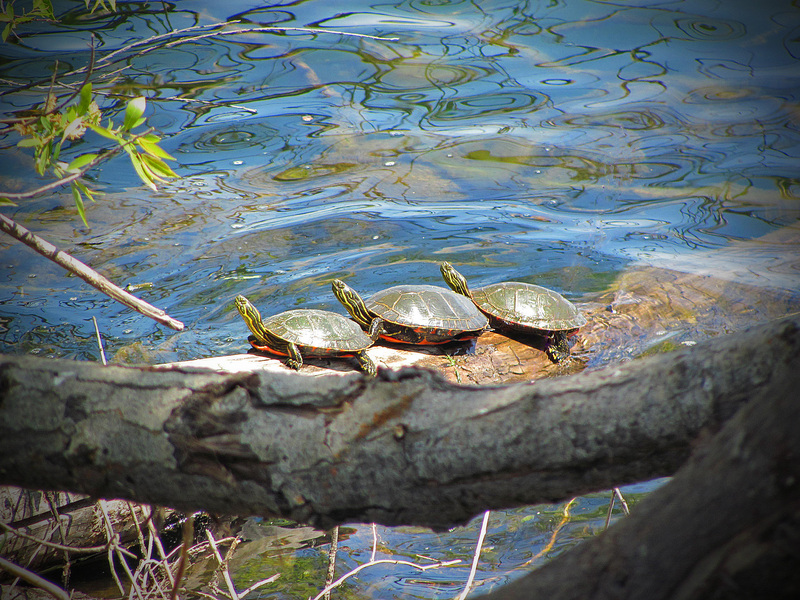 This entry was posted in Uncategorized and tagged Nature, Photos, Turtles. Bookmark the permalink.